If New Zealand has everything imaginable within a day's drive, then Great Barrier Island has pretty much everything within an hour. Rugged basalt bays on the west side, a mountainous interior and white-sand beaches on the east coast, serene one moment, savage the next - it's not ... read full description below. If New Zealand has everything imaginable within a day's drive, then Great Barrier Island has pretty much everything within an hour. Rugged basalt bays on the west side, a mountainous interior and white-sand beaches on the east coast, serene one moment, savage the next - it's not for nothing the island is called Great Barrier. 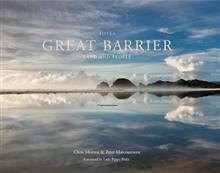 The book consists of five chapters - sea, beach, land, bush and the mountains. Each of these landscapes is explored through the eyes of 12 different locals, who describe a favourite part of the island and explain why it has special meaning for them. In the process, they capture the essence of a community that is unlike any other. Perhaps more than anywhere else in New Zealand, there is a determination to retain what it is that makes the Barrier special, and discovering, defining what that is, is the theme of this book. 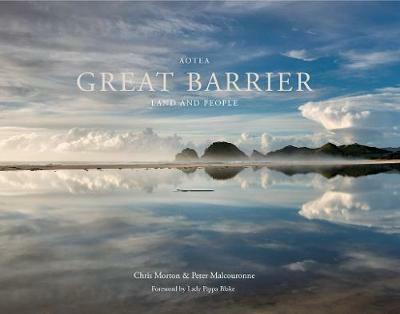 Created around Chris Morton's spectacular and evocative photographs, and a thoughtful and authentic text from Peter Malcouronne, this is a unique and special book, a tribute to this ruggedly beautiful island and the community that love it. CHRIS MORTON has been passionate about the outdoors all his life. In his early years he was a keen sailor and he later took up tramping and alpine climbing. It was the beauty of the landscapes he encountered in these environments that sparked his interest in photography. Since then he has pursued a range of photographic projects including a major involvement in the Our Place Unesco World Heritage Project. He has worked around the world and has exhibited in New Zealand and Australia and internationally as part of group shows. Chris is a Fellow of the New Zealand Photographic Society.